schrodingers bekku: Half a Manifesto. Full Satisfaction. Half a Manifesto. Full Satisfaction. 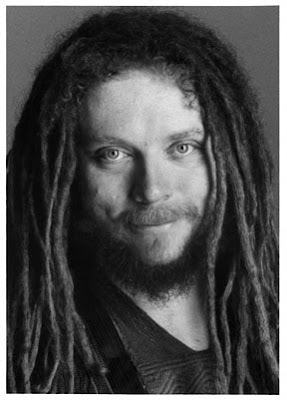 Late to the party you may be, but it’s never too late to read Half A Manifesto by the one-and-only Jaron Lanier. He gets it. And yes, make sure you read the Reality Club comments on the .5 Manifesto and Lanier’s responses to them (links to these are in the page linked above). From people like Bruce Sterling and Lee Smolin to the Dysons. One of the people who responded to the .5 Manifesto as you will see is a guy called Daniel Dennet. If the name sounds familiar, it is because he is one the lapdogs of none other than Darwin’s Rottweiler, the delusional Dawkins himself. Bleh! The adaptionists. Sigh. No one's denying it happens, adaption that is, but to call everything an adaption and to say that natural selection is the only agent (even if you call it a filter) of evolution isn't a good or tenable standpoint. And also because the adaptionist programme leads to the invention of not just theories but a whole new (pseudo) science called Sociobiology or Evolutionary Psychology if you prefer. Because Sociobiology is such a bad word. And so is the 'science'. A bunch of just-so stories that make for good cocktail conversation and nothing more. But you can push it and be counted as amongst the world's leading intellectuals you happen to dress well, have a scholarly clique of lapdogs and are good at PR & media management and know how to write literately. You got to give it to these guys. Take a bow Richard Dawkins! Now would be a good time to re-read Gould and Lewontin's 1979 paper critiquing the adaptationists. Applying sociobiological thinking to human societies is a perilous undertaking. But the sociobiology of the New World Order must be revealed! !